T/4 Aaron V. Robinson, son of Mr. and Mrs. A. 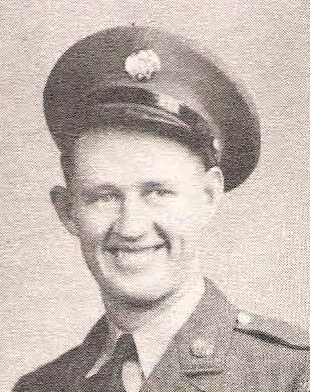 A. Robinson, Graham, attended Clovis, N. M. High. Entered Army, 1941, traind in Ky., La., and Pa. Served in ETO. Awarded ETO, 5 Battle Stars, GC, Pre-Pearl Harbor and Occupa-Ribbon. Wounded in Aachen, 1944. Discharged in 1945.